Tate Modern and Hyundai Motor recently announced that Tania Bruguera will create the next annual Hyundai Commission. 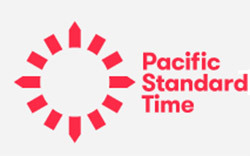 Now, audiences in cities across the US and around the world will have the opportunity to experience 18 of the critically acclaimed exhibitions presented as part of Pacific Standard Time: LA/LA. The Centro de las Artes San Luis Potosí "Centenario" will house the first museum dedicated to surrealist artist Leonora Carrington. There will be two spaces, the first will be inaugurated on March 22 in the city of San Luis Potosí. The fourth edition of the call Young Artespacio BBVA Competition, organized by the Banco BBVA and the Galería Artespacio, will remain open until March 30. The Faculty of Arts and Humanities' Department of Art of the Universidad de los Andes is seeking to hire a full-time permanent professor in the area of Electronic Media and Arts of Time. Contemporary Art of the Caribbean Archipelago The book accompanies the exhibition with the same name curated by Tatiana Flores for the Museum of Latin American Art - MOLAA, in Long Beach, California, which is part of the Getty Foundation’s Pacific Standard Time: LA / LA. Silkscreen print on Fabriano Rosaspina Paper 27 9/16 x 39 3/8 in. Edition of 60.